The soundtracks to the Persona games, much like the games themselves, are really kind of hard to talk about to people who have not yet had direct experience with them. They represent a blending of style that, on paper, shouldn’t work as well as it does. Despite that, people who have played the Persona games more often than not exhibit a strong love for those soundtracks and what they attempt to do, musically. Unlike the main-line Shin Megami Tensei games, which skew more toward a combination of orchestral and metal, Persona derives its musical inspiration from a number of different sources which tend to vary from game to game. It impossible to talk about the music from Persona without mentioning the heavy influence that Shoji Meguro has had over the series throughout its lifespan. The original game, a spin-off of Shin Megami Tensei that was brought over to the English-speaking market as Revelations: Persona, was Meguro’s first project upon being hired by Atlus. Since then, he has been the main creative force that has shaped the overall sound of both Persona as a sub-series, for which he has been the primary contributor for every game, and Shin Megami Tensei as a whole, for which he has composed for several key entries in the series. For Persona 5, like much of the rest of Persona, Meguro was given creative freedom to develop the overall sound and style. 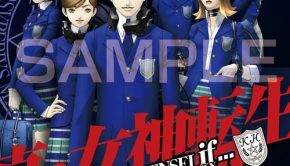 He directly contributed about eighty percent of the soundtrack, with the remainder being contributed by Toshiki Konishi, Kenichi Tsuchiya, Atsushi Kitajoh, and Ryota Kozuka, members of the Atlus Sound Team who have worked with Meguro on previous entries in the Persona series. The opening track of any Persona game, just like the first track of any album, sets the mood for the game itself. When combined with the title screen and overall color scheme of the game, represents the overall sense of style that has become characteristic of the Persona series as a whole. 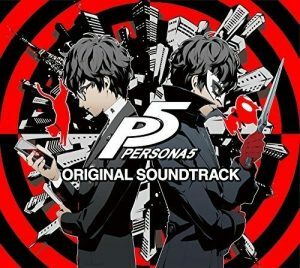 In this case, the song ‘Wake Up, Get Up, Get Out There’ sets the mood by starting off with a simple three-note phrase that feels very familiar, as Persona games tend to have a sort of signature three or four note phrase that runs as an undercurrent through several songs on each respective soundtrack. From there, the track evolves into a blending of upbeat pop and jazz with lyrics that serve as a preview of the themes that are going to be discussed in the plot. Persona games always incorporate the general theme of the game into a lot of the songs in the soundtrack, and in this song the call on the player to ‘swat lies in the making’ and to ‘feed your anger like fire’ clearly points to a major theme of the game being the subversion of a system run by oppressors. From here, the second song, Phantom, reinforces the similarities and differences between this soundtrack and previous ones in the series. The track starts off with a rolling percussive beat and acid-jazz-styled bass line and mixes in the sort of staccato strings and synth progression that the music in the Persona series is well-known for. It is a song that seems to be constantly in motion, and it promises that the game will be a dynamic experience that will keep rolling forward and never stagnating. While ‘Wake Up, Get Up, Get Out There’ is a beginning, an earnest plea for the listener to take action in the face of an unjust world, ‘Life Will Change’ represents the results of those actions. It features the same melody and more than a few of the same lyrics, but the overall message is different. Here, the listener has already woken up and is already fighting. Here, the phantom thieves are out there, making their presence known, and striking fear into the hearts of the world’s oppressors. Here, life is already changing, and the message is one of an angry and righteous hope that with more action, more change will be possible. 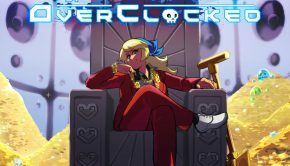 While the song is directly applicable to the themes of the game itself, there is also something deeper going on within the styles and inspirations of this song, as well as in the greater soundtrack. While Persona, as a series, has always had deep ties to Japanese youth culture and themes of rebelliousness, Persona 5 takes these ties and weaves into them references to the jazz age and by extension the influences that jazz music had on the evolution of rock and roll as a genre. As a representation of the game and its themes, ‘Life Will Change’ pulls in jazz beats, classic rock guitar riffs and synth organ reminiscent of the best of Pink Floyd or The Doors, and modern pop stylization and creates something that ends up being an amalgamation of youth counterculture as it has existed in many places over the past several decades. Of course, there is a very human side to Persona as well, and if each person wears the mask of their struggles against the unjustness of society, there is still something underneath that outward projection that he or she keeps hidden. 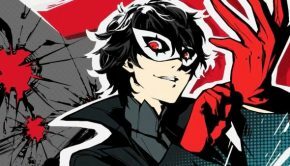 When they are not fighting, the Phantom Thieves are just ordinary people, after all, and they are people who must by necessity keep their identities safe from the outside world. Much of this involves keeping their thoughts and feelings internalized as well, and that duality is represented in the song ‘Beneath the Mask’. The plea for the listener to not remove the mask is one of heartfelt sincerity, showing the deep fear that every person has of being seen for what they truly are deep down inside. The mask, after all, is a thematic representation not only of the Thieves’ hidden identities, but also of our own hidden identities and the walls we put up to shield us from being hurt by each other as people. The song is calm and cool, and is the kind of thing that evokes the feeling of a coffee shop on a rainy day. 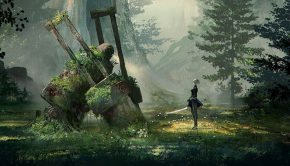 While Persona has always had its share of calm themes, this one in particular is more unique to the particular style of Persona 5 than it is representative of the series at large. This isn’t to say that Persona has departed totally from its roots. There has always been at least some element of jazz incorporated into the Japanese-style pop tracks that make up a lot of the background music of the day-to-day life in the more social areas of each of the games in the series. Here, that blending of style is present in such songs as ‘Tokyo Daylight’, which, true to its title, represents the carefree joys of after-school life in Tokyo. In contrast, ‘Tokyo Emergency’ blends a little more of a fast beat to represent a more hectic afternoon in a city full of people, each with their own lives, interests, and agendas. The perfect blending of these styles is present in the song ‘Life Goes On’, which uses a funk bassline and upbeat organ melody to represent the constant pulse of life through the city. It’s a song that it just so unashamedly danceable that one can’t help but dance along with it, whether one is in their living room, their car, or at work. One of the core elements of any Persona game is the relationships that build between the main character and the core team, as well as between the main character and other people in the team’s social circle. Meguro and his team have always been good at developing a style of music that represents those connections and relationship-building scenes and then adapting that style to suit the overall aesthetic of each game in the series. In this game, scenes that involve the group just hanging out in a slower-paced environment are represented by songs like ‘Everyday Days’, which takes on a slower-paced rock or funk tempo, or ‘My Homie’, which serves a dual purpose as a comic relief track or a backing track for when the more delinquent members of the main cast are planning something that will get them into trouble. Scenes where two people are casually hanging out with each other are set against the track ‘Is It Boring’, and things get a little more heartfelt and comfortable when ‘Break It Down’ is played in the background. The culmination of the various relationships in the Persona series is the forging of an unbreakable bond of trust, and this is also represented by a certain style of background music that is for the most part common among the games in the series. This bond is represented by songs like ‘Break It Down ~elp version~’, which is a slower, more soulful version of ‘Break It Down’, as well as by ‘Confession/Secret ~piano version~’, which go very well with moments of deep conversation. ‘Memories of a Summer Day’ is the backdrop for the bonds formed during a lazy afternoon of hanging out with a good friend. Finally, ‘Sunset Bridge’ is the backdrop for the kind of bonding scene that happens, appropriately, as the sun sets and two people are observing it from an area high above the rest of the world. It’s a classic anime and dating sim scene that Persona intentionally incorporates because no matter how common it is, it still evokes emotion when done correctly. One of the things that Persona, and its music, does well is to take what are considered fairly standard elements or tropes and either alter them or perfect them. As Persona 5 is a game that involves a band of thieves and a lot of sneaking around, the obvious musical cues that are used quite a bit are tracks that I would consider ‘sneaking music’ or ‘spy music’. It’s the sort of thing that is usually played in the background of a movie or television show during any sort of stealth scene. Meguro and the Atlus sound team make extensive use of this musical trope during the infiltration scenes in Persona 5. However, what Meguro does well is to take something recognizable as a base and then elevate it to something either perfected or unexpected. The tracks ‘Suspicious Person’, ‘Tension’, and ‘Restlessness’ are perfect examples of what this kind of music can do in building suspense during a stealth scene, and the track ‘Escape’ blends this kind of tension with the jazz aesthetic that permeates the entire rest of the game. ‘Escape ~Another Version~’ could have been pulled directly from Metal Gear Solid, a game that itself intentionally utilizes spy and stealth tropes from a variety of sources. For me, though, the most effective blending of the classic spy music with styles that Meguro and his collaborators have traditionally been very, very good at is the track ‘Run Away ~ Arrest’. It begins with the tension-building stealth track and then begins to incorporate rock percussion near the middle of the track. Suddenly, near the end, the track completely drops out for a moment of silence that perfectly communicates the uncertainty and surprise at being discovered, and when the track kicks back in, it’s no longer a stealth track but instead is a brief burst of classic Shin Megami Tensei heavy metal riffs. It’s here that it is clearly communicated that not only are we being treated to an evolution of the Persona style that Meguro, Konishi, and the others have carefully cultivated over five games, we are also seeing a return to the style of metal backing track that calls back to Meguro’s early 2000’s work on games like Nocturne and Digital Devil Saga. If Shoji Meguro is known for one thing, it’s his boss battle themes, and in Persona 5, he has refined those themes to absolute perfection. ‘Keeper of Lust’ is very reminiscent of something that would feel right at home in Nocturne, with its driving metal undertone and stylish guitar riffs to build the energy of the moment. Even though there is a wider instrumentation here than was present in Nocturne, make no mistake, the additional instruments are there to supplement rather than draw attention from the sheer awesomeness of the heavy guitars and percussion. Something else very traditional in the Shin Megami Tensei series at large is the concept of the pre-fight transformation sequence. It is overwhelmingly common for a boss in the series to be a normal person who transforms into something bigger, and thus tracks like ‘Blood of Villain’, which highlight the pre-fight banter and transformation, transition into tracks like ‘Blooming Villain’, which keep up the energy of the main event of the boss fight. In Persona 5, much like in Digital Devil Saga, there is also the concept of the hero transformation sequence as well, where the same kind of thing happens to the hero party. In this case, the pair of songs is ‘Awakening’, during which the main characters are awakened to their Personas, followed by ‘Will Power’, during which the scene transitions into the ensuing battle between our protagonists and their adversaries. There are other callbacks to Digital Devil Saga as well, such as ‘High Pressure’, which is very reminiscent of the ‘hunting’ areas in those games. All in all, it’s good to see Meguro and Konishi returning to that style, as it really blends the old with the new very well. This mention of blending old and new brings me to the track ‘Ark’, which represents a complete integration of Meguro’s style of rock and metal with something completely different. As the name might suggest, this track is played on an area that resembles a large ship navigating through a flooded area. In order to properly set the mood for this entire spectacle, Meguro has taken a driving rock tempo that evokes the idea of the slow and steady forward movement of a large ship and layered on top of it something that, for lack of a better description, sounds like something pulled straight from The Love Boat. It’s the kind of thing that makes one realize just how ridiculous some of the villain’s areas in Persona 5 can be, and yet, despite all that, it is a track that is just plain good. Every aspect of the song meshes perfectly together into something that improves upon the sum of its influences with slow and steady musical progress, much like Meguro’s evolution of style as a whole. Not all the battle themes in the game are throwbacks to old-school Shin Megami Tensei, though. Persona battle themes upbeat songs with vocals that might seem irrelevant at the time but are usually thematically relevant to the plots of the games they are present in. Sometimes the references to theme can be a little obscure, but this time, ‘Last Surprise’ makes quite a few very direct connections to the Phantom Thieves. The lyrics of the song paint the picture of a cat and mouse narrative, with the protagonist outwitting his target and delivering the target’s last surprise in the form of, one can assume, an assassination in its most proper form. In contrast to this self-assured battle theme, ‘Rivers in the Desert’, which plays in a couple of much more climactic battles, is a song of determination and focus. The lyrics echo the protagonists’ pleas for their minds to be clear of distractions, for their hearts and minds to be refreshed, and for them to have the resolve to take down the people whose influence is spreading fear and exerting control over the world. The pulsing beat and distorted guitar provide a solid base for the wide vocal range employed in the song and while it is not what one would consider a traditional boss theme it definitely sets the mood just as well as any of the metal-styled battle music that is present in the rest of the soundtrack. If there is a beating heart of Persona, it would have to be the concept of the oath. In each game, the protagonist signs a contract, which serves to prove his resolve in whatever trials are about to come his way. However, the deeper oaths in each game are the ones that each of the characters swears to their own ideals and the ideals of the group as a whole. In Persona 5, this takes on an even deeper meaning when the Thieves get closer to their overarching goals. That oath, and the heart and soul of what these characters stand for as people, is evoked in the song ‘Swear to my Bones’, which plays during those parts of the game where each character’s resolve is tested. In the end, when that resolve is reinforced, the song takes on a note of inner strength in the face of outward adversity. While the song still has a soft piano melody, the message is that this inner strength doesn’t always have to make a person hard and aggressive. All it means is that a person needs to know what they stand for and not let the outside world turn them hard and cynical, and that they need to trust in the bonds and friendships they have made over the course of their struggles. The Persona games have always had an eclectic style to them, and while Persona 5 is no different, the elements that are brought into it just work. The music stands on its own as well as constantly reinforcing the coherent sense of style that has always been one of the staple strengths of the Persona games in particular. The elements that Meguro brings in from his past work on other Shin Megami Tensei games always fit the scene and setting that they are used in and help to present Persona 5 as a somewhat darker throwback to something like Nocturne or Digital Devil Saga. Meguro also successfully incorporates the styles of counterculture music over several eras ranging from jazz to classic rock to heavy metal to underground pop, and in doing so integrates all of these themes directly into the heart of what Persona is as an experience. It is a testament to Meguro’s talent and his enduring influence on the series as a whole that even when he takes multiple personal elements and outside inspirations, throws them all in a blender, and purees them into smooth musical paste that flows through the senses, the entire combination just works. Posted on February 15, 2018 by Greg Fisher. Last modified on February 15, 2018. Greg Fisher I'm an electrical engineer by profession and a video game and music afficionado by hobby. I primarily gravitate toward RPGs of both the eastern and western variety, as well as turn-based strategy and 4X games. I also spend a lot of time playing all manner of tabletop games as well as streaming playthroughs of my adventures in Eorzea. I've been writing about video games in an amateur capacity since 2012 and look forward to sharing my appreciation of games and game music. I currently reside in central Texas with my wife, two cats, and a slowly overflowing collection of games and sci-fi and fantasy books.